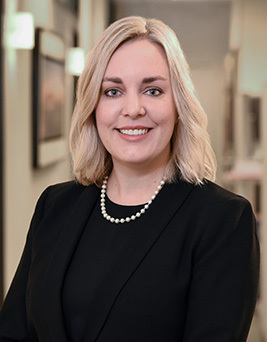 Dana Oium joined the firm in 2016 and practices in the areas of medical malpractice and premises liability. After graduating from college, Dana worked at the firm as a paralegal and participated in all aspects of litigation. Dana had her “aha!” moment while assisting her father in preparing a medical malpractice case for trial, which resulted in a defense verdict. Dana graduated from Golden Gate University, School of Law in 2013. While in law school, Dana worked as a law clerk at both a defense firm and a notable plaintiff’s personal injury firm in San Francisco. She also externed for the Honorable A. James Robertson, II, of San Francisco Superior Court where she was able to observe and participate in a five week long jury trial and post trial motions. Being in the courtroom everyday solidified Dana’s interest in litigation and trial practice. Prior to joining the firm, Dana worked at a large defense litigation firm where she handled construction defect, premises liability and landlord-tenant litigation matters. Dana is admitted to practice before the California state and federal courts. She is an active member of the Bar Association of San Francisco, the Association of Defense Counsel for Northern California and Nevada, and Lawyer Friends of Wine. In her spare time, Dana is enjoys gardening, cooking, bowling, golfing, exploring the greater Bay Area and supporting the Bay Area’s sports teams.